Have you had strange dreams filled with weird looking entities? Did you lose time? Were you in a place where you saw a UFO? Have marks appeared on your body overnight, scars that weren’t there when you went to bed? Do you remember waking up somewhere else, such as outside? Have you heard an unexplained clicking sound? If so, you may have been visited by aliens. Now, not every dream and unexplained scrape on your body comes from extraterrestrials. There is more to it than that. So don’t jump to this conclusion if you wake up with a scratch or have a bad dream. However there are cases where E.T. visits are occurring. Witnesses aren’t just imagining what is happening to them. There is supporting evidence to go along with their stories. Others in the house have the same experiences. Scars appear on their bodies. They see a UFO land in grassy areas, but nothing will grow in these spots after the UFO leaves. Some have evidence of radiation exposure. Others have implants in their bodies. Still more will suddenly become fluent in another language or understand advanced mathematics. For many of those who have contact, their experiences are lifelong. In other words, aliens keep track of certain people throughout their lives. For them, it all starts in childhood. When they are little, they have an alien experience which can be very traumatizing. The children don’t necessarily remember everything consciously, though sometimes they do recall seeing otherworldly beings. It can be very scary because some aliens look quite different from us. To a child, meeting up with these creatures would be terrifying. And this can ingrain trauma into the consciousness of such children. They don’t always know why exactly they are so anxious, but they get flashes of memory which remind them. In some cases, as their memories focus, they feel a sense of calm because the entities were gentle and kind to them. As the witnesses remember more, they become less anxious, and the trauma fades. This doesn’t happen with all contactees. Some children recall absolutely terrifying contact. They remember being probed and prodded with no regard for their feelings. Of course this leads to psychological damage which can manifest in depression, anxiety, and even addiction in later life. Many who have alien contact experience are psychic or become intuitive after an experience. Especially after contact, witnesses have psychic dreams. In the dreams they have more alien visits and astral travel. They have precognitive dreams, and they will get strong feelings (gut feelings) which are proven right time and time again. It is quite common to find that more than one family member has been in contact with E.T.’s. In fact, once family members talk to each other and find out that their relatives have been through the same thing, it eases their minds a bit. Basically, they realize that they aren’t crazy! And when they dig further, they find that their ancestors often had experiences as well. Sadly, most people tend not to talk about their experiences and suffer in silence, questioning their sanity. In combination with some of these characteristics, contactees simply know they are not from here. Earth is such a violent, difficult place, and contactees feel somewhat disconnected from other people. In short, they know they don’t fit here. You may feel that way, that no one here understands you, and if so, you should read this article carefully. When these contactees are under hypnosis or when they examine their experiences more closely, they find that often they feel nothing but love and warmth when with the E.T.’s. They fit there. The aliens are ‘home’ for them. And suddenly everything makes sense. Just because a being looks scary does not mean that it is bad. I used to teach my detectives just this topic when I did my criminal profiling seminars. Most serial killers don’t look like Frankenstein. Serial predators can be very good looking and professionally successful. Looks don’t matter when it comes to whether an individual is a predator, and the same holds true for aliens. For some people, the initial shock of seeing a frightening looking entity can traumatize them so much that they have trouble getting beyond it. So their view of E.T.’s is negative. To be clear, bad experiences do occur. While there are loads of wonderful alien contacts, I have to say, not all are like that. For every good contact, I’ve seen a bad one. The truth is that some experience is downright evil. These are the more commonly known violent abductions. There are no gifts for these unfortunate people who go through these attacks. Unlike the others who feel at home with the aliens, these people instinctively know they don’t belong with the entities who are taking them. These negative E.T.’s do actual harm. They experiment on abductees and don’t bother using any anesthetic while doing so. Witnesses recall these experiences in great, painstaking detail. For them, it is torture, pure and simple. That is their reality, and just because there are many good alien contact cases doesn’t mean that bad ones don’t exist. We have to be honest about people’s experiences, and some alien witnesses have had horrific abductions. These are totally different experiences. Does this point to separate alien species, or are there rogue aliens just like there are rogue humans? It is interesting to note that those who have had positive experiences point to grey, mantid, insect, humanoid, light, feline, and even reptilians as the entities with which they had contact. On the other hand, people who have violent abductions point to some of those same types of entities. This makes one wonder if aliens are indeed like humans in which some are good and some bad. It is hard to say at this point exactly what is happening. Yet people around the world share these experiences, whether they live in Africa, the Middle East, or small villages in Europe. And their stories are very similar, even those that come from remote areas. E.T.’s are here and are likely visiting people who don’t even realize it. They can come into your dreams or take you from your car. You never know when they might come calling. This entry was posted in alien, Paranormal and tagged alien abduction, aliens, deborah kauflin, paranormal, schurman-kauflin, UFO on April 17, 2015 by spiritdeb. I have written a lot about negative contact with aliens, but there is more to the story than bad interaction. There are also people who have had E.T. contact which is benevolent and enriches their lives. These aliens are quite friendly to humans and seem to have good intentions. There doesn’t appear to be one single way contact occurs. In some cases, witnesses are at home or in a secluded location and then see a light. The light can change, becoming larger or smaller. Within the light, contactees can make out a human type figure. As the aliens emerge from the light, witnesses get a good look at them. The aliens are tall, and they are human-like in their appearance. But there is something more remarkable about how the entities look. They are what we would consider to be extremely beautiful with elongated eyes. Witnesses say they are more attractive than our top supermodels. Their appearance is striking. When this happens, contactees feel at ease. There is no fear. In fact, many report feeling happy and excited to see these aliens. It is almost like a family reunion, it is so familiar. Though these aliens are big, they are extremely gentle. When people come across them, they feel nothing but intense love. The sensation of complete peace surrounds them. People describe it as the most amazing pleasure and contentment that they have ever felt. Their whole bodies are surrounded with this good energy which can temporarily take away any bodily and emotional pain. Contactees are allowed to touch the aliens’ solid bodies, though the aliens could morph into balls of light. Thus, they appear to go from solid form to energy form. This may be a perception issue, but many witnesses talked about this change from solid to light. In some cases, contactees are brought to another location where there are more aliens. A large number of witnesses reported a lavender mist and light which surrounded the area where they were taken. Once there, they are shown things and given comfort. Many of these contactees have always felt like they didn’t quite belong on Earth. They felt different. Somehow they knew there was more than what we see on our day to day lives. After their encounters, they felt that they had come from aliens and that the visitors were simply family members coming to check up on them. While this may sound bizarre at first, it really isn’t. So many theorists say that aliens manipulated our DNA and that we are all part alien. Thus, this is not a stretch if you subscribe to that theory. Haven’t you ever felt like you were an outsider and didn’t quite fit in on this planet? Other contact cases begin seemingly at random. A witness will be out and about doing a daily routine when he/she sees what at first appears to be a human. Like other contactees said, the entities are extremely good looking. They have the physical attributes that are prized on our planet. Strangely, they stand out! It is like they do so intentionally to blend in. After all, who would suspect that a great looking person was really an alien? People are usually too busy drooling over them to notice! Those who are allowed to ‘see’ these entities just know that the beings are not quite human. It is through telepathy that they get this knowledge. Again, while this sounds strange at first, I should note that witnesses are stable people who often hold professional jobs. I have spoken with witnesses who are University scientists, government workers, Military officers, police, psychologists, and more. They have no history of mental illness or drug use, and they were not going through any trauma at the time these events happened. Furthermore, there are several cases where more than one person saw the entities at once, and the witnesses spoke to each other about what was going on. After this, paranormal activity began in their homes. Objects moved by themselves. Electronics would go haywire. And strange sounds came out of nowhere. Then vivid dreams and out of body experiences would take place. Unusual things began to occur in their lives. I should note that while the vast majority felt good about this contact, some witnesses felt very uncomfortable around these beings. They were afraid and felt threatened. Was this their fear? Did their preconceptions taint their view? Or is it possible that some of these attractive E.T.’s are negative? That is what I am investigating. Something is happening on our planet whether you want to see it or not. The implications scare a large number of people, so they would rather not see. For them, any alien contact would be terrifying. Others are open minded and realize that there is something going on. What I do know is if the aliens wanted us dead, I suspect we would be dead. On the other hand, if they have the ability to help us, to heal us, and to advance us, then why not do it? Why let people suffer? These are the burning questions which beg for an answer. I am constantly hearing from people about this topic and doing more research. If you have had contact, please email me. I keep your information confidential. I am doing a lot of research right now and will not be posting for a while. This entry was posted in Paranormal and tagged alien abduction, alien contact, aliens, deborah kauflin, schurman-kauflin, UFO on April 3, 2015 by spiritdeb. Are you scared that something is hurting your pets? 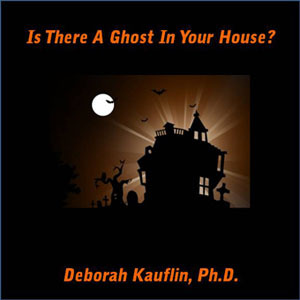 Is your house haunted? If you answered ‘yes’ to these questions, then it is likely that you need some serious help. Hauntings can come about in many ways. Spirits can be invited in your home, they can follow you, or they can already be there when you move in. Usually if you are haunted, then you know it. You don’t need me to tell you. Odd things will happen around you. Objects move on their own. Out of the blue, you’ll hear pounding on the walls that makes you jump. Sometimes you catch a glimpse of an apparition floating down the hall. A whispering voice calls your name when no one is there. You find yourself having strange dreams. Sometimes a spirit will touch you. If you are haunted, you’ll feel like someone is in your home when no one is with you. You see the strangest things when you are fully awake. Others experience it too, so you know you are not hallucinating. Weird happenings go on right in front of you, as plain as day. You know you are not crazy. Still you question if your imagination is working overtime. The paranormal occurrences can be scary enough, but what happens when the haunting starts to impact your animals? Your pets are your heart and soul, and you love them completely. Pets are family. Your bond with them will never be broken. So when bad thing begin to happen to your pets, your heart can nearly stop. It is easy to see when your animals are experiencing something otherworldly. Beyond your own experiences, your pets will react to something invisible in the room. Sometimes they chase after it, full force. I’ve had cases where dogs and cats will run after a phantom and smack into the wall as they try to follow. Of course they injure themselves when this happens, and people wonder if the spirit was taunting their pet to make that happen. As time goes on, you’ll notice that your animals become stressed. They may refuse to go into certain rooms and hiss or bark at seemingly nothing. Basically they see something that you don’t. Any animal can see a spirit, but it is much more profound when a haunting is dark. The activity frazzles your pets’ nerves, and very often, the animals who are targeted will suddenly become lethargic. They won’t eat. They won’t play. It is as if they are not the same anymore. You will find yourself in and out of veterinary clinics, but the vets find nothing wrong with the animals. Your pets shouldn’t be sick, but they get worse and worse. No matter how hard you try, your beloved pet begins slipping away. It doesn’t matter which animal it is. I’ve seen cases where horses, birds, bunnies, cats, dogs, ferrets, and even reptiles die mysteriously once a bad haunting begins. The deaths can’t be explained rationally. Worse yet, there are people with demonic paranormal activity who lost one pet this way, and then shortly after, another pet died the same way (without explanation). There are no gas leaks, toxic molds, or any environmental factors which could have caused the deaths. The animals just die, one by one. When this happens, you feel sick to your stomach because you know something supernatural is going on. But who will believe you???? Too often people with real paranormal stories are blown off or used by the media. Though our world is slowly becoming more accepting of ghostly happenings, progress is slow. That doesn’t mean that there aren’t people out there who do understand. I understand. And there are many paranormal investigators who understand too. Please know that evil targets animals because animals are so sensitive. They make easy prey. Plus, targeting your pet is a way to hurt you. If the spirit takes away what you love, it can rip your life apart with ease. This makes it simple for an evil entity to get to you and ruin your life. 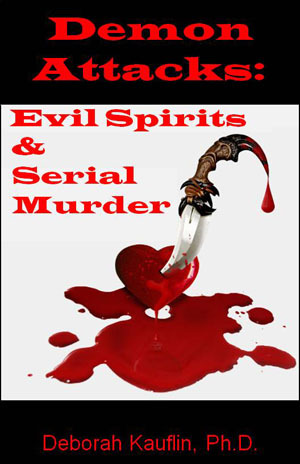 Dark spirits want to break you down, physically and emotionally. Just like some rotten people, evil spirits want to watch the world burn. When the spirits are finished with your animals, then they come for you. If you believe you are truly haunted and that your pets are in danger, then by all means, reach out to a local paranormal group. Ask questions before you bring them to your home to make sure they will follow through after an investigation to ensure your safety. Investigators can help determine what is going on in your home and point you to more resources if necessary. They can lead you step by step through the process. A word of caution though. I’ve seen a pattern over and over. When people with dark spirit activity bring in outside help, it can make things worse……at least for a little while. 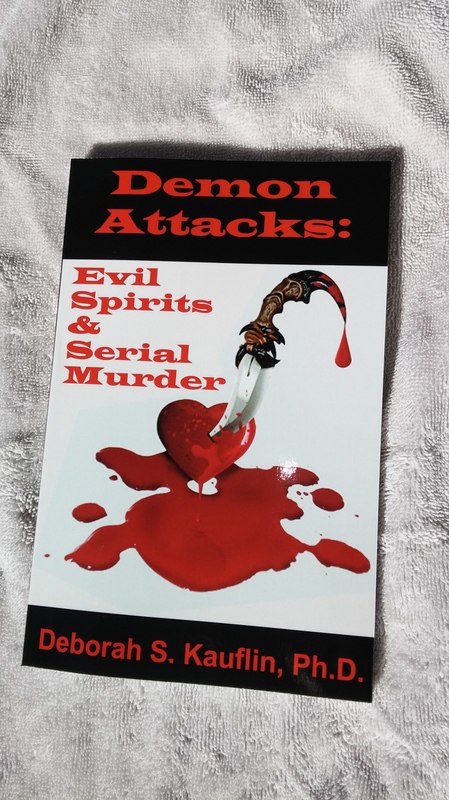 You need to understand that dealing with evil is not simple. It can take a lot of time to get what you need. There have been situations where a blessing and/or cleansing was done, and activity seemed to stop. Those involved felt as if they had control over their lives again. However, it was all a lie, and the ‘peace’ didn’t last long. It was all a trick, meant to lure them into letting their guard down. It is at this point where evil digs in, and all hell breaks loose. Paranormal activity ramps up. So you must be sure to find experienced investigators to help you. Make sure that you get the right paranormal group. Get references and check to ensure that the group has dealt with your type of haunting. Don’t be afraid to ask questions because any reputable investigators will be open and honest about their experiences. They will understand your hesitance. While it can be scary to think that getting help can make things worse for a while, it can be crucial to involve a good paranormal investigative group. They can be a lifeline in more ways than one. They can show you that you are not crazy and that something really is going on. They can identify what you are dealing with and steer you in the right direction to find resolution. A good group will know what to do if activity increases after their investigation. They will be able to guide you to whatever resources you may need and follow up with you. The key is not to give up. If you are dealing with a negative haunting, remember that you are not alone. Many people will understand and do their best to help you. Learn all you can about spirit matters and have faith that it will be resolved. A positive belief can truly help you. You may also consider that these things could be projected from the mind, i.e. poltergeist. Even if that is the case, you still have a bad energy that is harmful in your home. That energy is destructive and can truly injure humans and animals. This entry was posted in Paranormal and tagged animals, deborah kauflin, demon, ghost, haunting, paranormal, schurman-kauflin on November 19, 2014 by spiritdeb.